Hollywood can't seem to get enough of her, can they? Well, it seems actress Lupita Nyong'o is really unstoppable. Over the weekend, Lupita received lots of publicity, gracing many newspapers and headlines including The New York Times, for her role in movie, US. She shared newspaper cuttings, with a caption saying, "What a way to end opening weekend! I've felt the support all around (woweee New York Times this week!) and am grateful for this moment. I'm having so much fun and looks like many of you had a scary good time at the theater this weekend too." 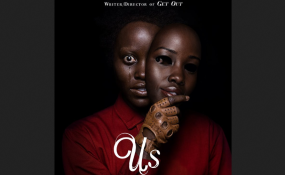 The Jordan Peele's film US opened this past weekend, shattering expectations at the box office making an estimated $70.3 million in North America -- more than tripling its production budget of $20 million. The horror movie that follows a family as they are terrorized by a group of people who look exactly like them has blasted through industry projections (which early in the week was around $45 million) to have the highest opening weekend ever for an original horror movie, with an estimated $70.3 million. Lupita stars alongside Evan Alex, Shahadi Wright Joseph and Winston Duke in the movie. There's already talk of an Oscar nod for Lupita.